Jed Marum passed away at the beginning of May. He was an integral part of this podcast as it grew over the years. I want to celebrate his amazing contribution to Celtic music with a special episode dedicated to this kind and generous man. We have music from Jed Marum, Fiddlinda, Carolina Ceili, Mason Brown, Hugh Morrison, Nine-8ths Irish, Jil Chambless, Ed Miller, Scooter Muse, Tullamore. We kicked off the show with Jed Marum's tune "Calla's Waltz". That tune inspired the CD of the same name. 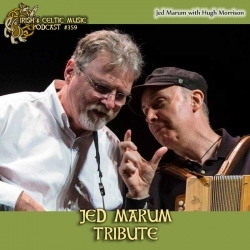 The last CD, in fact, of Jed Marum. I was saddened last week when I learned that Jed passed away on May 2. He was 66 years old. Jed's music has been a big part of this podcast. He first showed up in show #13. But he quickly became an essential part of the show. He even allowed me to share some of his CDs, in their entirety, on the podcast. #42 featured Lonestar Stout. #91 featured Soul of a Wanderer. My first big experience with Jed Marum was at the Texas Scottish Festival in 2011. I shared a stage with him and Hugh Morrison other musicians. I'm not a super outgoing guy. But Jed approached me and made me feel like he did with everyone, like one of the family. He was kind and generous person. So today, I'm gonna highlight his music. I'll share of the music of others as well. But it's mostly about Jed. His passing is a great loss to the Celtic community. I want to celebrate his life with music. If you don't yet have the Irish & Celtic Music Podcast app, you're missing out. This is probably the easiest way to to listen to the show. Well, unless you're Patron of the Podcast. Download your free podcast app from our website. Brannan Barber posted on Patreon: "That's sad to hear Jed passed away. I still have a copy of the CD I bought when you featured Lonestar Stout." Robert McMahon posted on Patreon: "Years ago Jed played at my home for family and friends. Even though my children were quite young, they never forgot that visit. His music was so heartfelt. I'm terribly saddened by this news." Randy Tredway posted on Facebook: "We probably have his last recordings from his January show here in the music room"
Wade Weiler posted on Facebook: "I'm still in shock and disbelief after reading the news yesterday, but also most thankful for knowing Jed. He and I were in the band, Eammon's Kitchen several years back, along with Caerynn Riccarde and Edward Riccardi I think my favorite song of Jed's is his "Uncle Joe"." Allan Marcotte emailed me: "Marc, I just saw that Jed Marum died suddenly yesterday. I became a fan of his when I heard "Prayer from Little Round Top" on the podcast a few years back." Trudy Scales sent a voice recording. She shared a whole bunch of memories. I decided to share just one of them. Cynthia Naughton posted a photo on Facebook "Jed was also an actor! 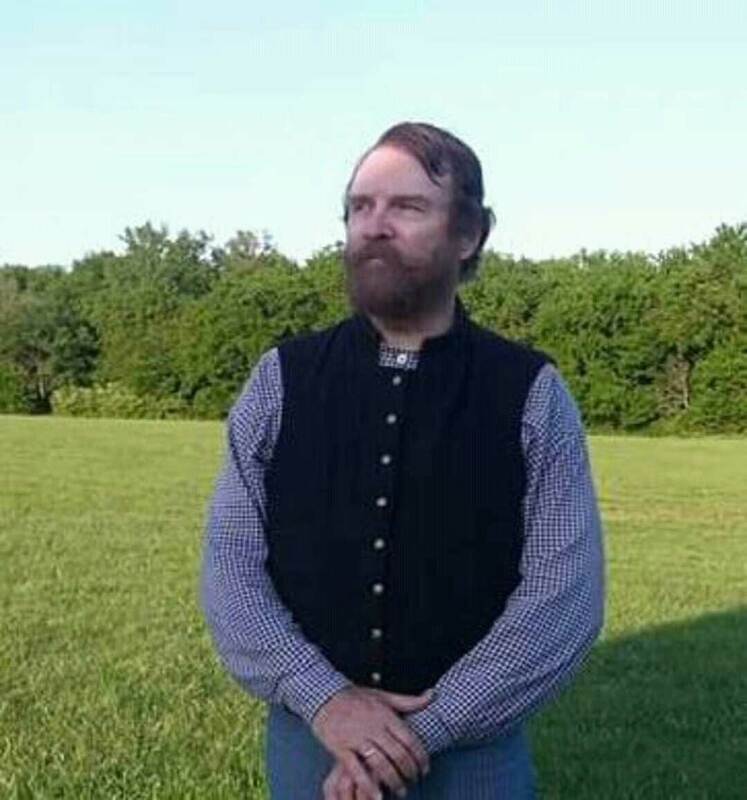 Here he is in character for his role in Road to Valhalla from Lone Chimney Films"
Melissa Tatum emailed a voice recording: "I heard you were soliciting memories of Jed Marum for a show. Jed and I wrote several songs together, the first of which was called Witches Well and which appears on his Calla's Waltz CD. I recorded a brief snippet on how that song came to be."